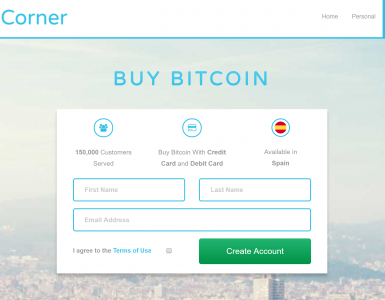 Everyone knows that personal investors have been jumping into cryptocurrency in big numbers. Bitcoin’s price gains along with the substantial market caps for Ethereum and other coins has mostly been driven by investors investing their own money. Some personal investors jumped in by directly purchasing coins, others invested via expensive mining equipment. Institutional investors, on the other hand, have long stayed clear of cryptocurrencies – and not just because they are worried about losses. Keep reading to find out why institutional investment is different, and how cryptocurrency exchanges are adapting to let institutional investors trade cryptocurrency. Explaining what an institutional investor is all about is simple: it is any organization that invests money on behalf of someone else. This can be an insurance fund investing life insurance premiums, a mutual fund investing in shares on behalf of its members or any company that buys investment assets in bulk for its clients. Compared to personal investors, institutional investors must maintain a high degree of accountability. Importantly, institutional accountability is not voluntary. Institutions must comply with strong regulations that protect investor interests, such as the regulations enforced by the SEC in the US, and the FSA in the UK, for example. Another important difference between individual investors and institutional investors lies in the fact that institutional investors operate with large sums of money and make very big transactions. The implication for crypto assets lies here: compared to the broader financial markets crypto assets are a small market. Finally, institutional investors require a very high level of service. For example, 100% availability is a must so that an institution can make a trade when it needs to. The speed at which trades are executed is also key. An institutional investor needs high levels of customer service, an email address or website support chat will not do. Exchanges on their own cannot overcome all the compatibility hurdles that exist between the crypto market and institutional investors. However, cryptocurrency exchanges can bridge the gap in some areas including the accountability and regulatory aspects. Institutional investors cannot afford to suddenly lose money due to hacks, thefts and fraud. Clients will simply not trust firms with their money if it looks like institutional investors behave carelessly. Institutional investors must be sure that transactions are correctly executed, and that assets are secure. Cryptocurrency exchanges focused on institutional investors provide a range of features that boost security. This can include custodial solutions (where an institution acts as a custodian to ensure the safety of assets) as well as insuring transactions and holdings as a hedge against the risk of theft. Transactional efficiency is a key factor for institutional investors as they operate close to the market. Professionals require rapidly-executed trades and real-time coin performance data for big business systems. For classic financial instruments such as bonds and stocks, this process is already fixed within high-performance trading systems. Crypto exchanges that focus on institutional investors can integrate with established trading platforms to make sure transaction are executed quickly and reliably. This lets institutional investors deal with crypto assets just like they would deal with any other financial instrument. Exchanges can also improve their offering to institutional investors by reducing execution time, or latency. With so many cryptocurrency exchanges focused on personal investors, institutional investors are not always in the picture. While the logic behind account size limits and trading limits for individual, retail investors are sound the low limits for personal investors can limit the ability of institutional investors to go about their daily business. Five or even six-figure limits may be sensible for individual investors, but crypto exchanges need to offer the capacity to deal with vast sums for institutional investors to sign up. In meeting institutional accountability requirements cryptocurrency exchanges can – and do – make more of an effort to plug into the standard financial regulatory framework. For example, agreeing to be fully regulated by national authorities such as the UK’s Financial Conduct Authority can lead to a higher degree of trust and faith in individual cryptocurrency exchanges as institutional investors can rely on this third-party oversight. As the cryptocurrency market matures, the exchanges that serve it become more standardized, offering a wider variety of services that are supposed to be more reliable. Simultaneously, exchanges are making efforts to attract large pools of investment funds from institutional investors. Here are some examples of cryptocurrency exchanges that focus on institutional investors. 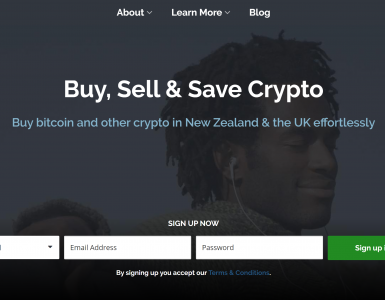 Everyone who has traded crypto extensively will be familiar with Coinbase, one of the longest-standing cryptocurrency exchanges. Coinbase’s reputation gives it a foot in the door with institutions who can only enter into relationships with business partners that have established reputations. Coinbase has made concerted efforts to make it easier for institutional investors to dip into the cryptocurrency market. The popular exchange has made improvements to its infrastructure to ensure reliable transaction execution, and adding a dedicated institutional service called Coinbase Prime to serve the high expectations of institutional investors. Coinbase also offers access to Coinbase Institutional Coverage Group, a white-glove service which, again, is set to meet the expectations that institutional investors have when it comes to service levels. Coinbase Custody is dedicated to providing cryptocurrency custody services for regulated institutional investors. Segregated cold storage to keep crypto assets safe and secure, insurance policies and service-level agreements (SLAs) are all part of Coinbase Custody’s offering. This addresses the worries institutions have around transactional efficiencies, which we highlighted earlier in this article. New York-based Gemini Exchange launched in 2015 and is the first US-licensed crypto exchange for Ethereum and Bitcoin trading. Gemini Exchange ticks several regulatory boxes: it can act as a fiduciary (an independent party ensuring trust and security throughout a transaction) and is also signed up to capital reserve requirements. Meeting reserve requirements ensures that an exchange can weather a storm should it come under financial pressure. Of course, for institutions, the fact that their business partners can weather storms is important: if there is regulatory audit looking into the stability of an institutional investor the stability of its partners will also be under the magnifying glass. Whether you are an institutional investor, their client or a regulator, the fact that a trading partner is not at imminent risk of collapse will be a plus. For institutions, the fact that Gemini Exchange holds USD funds at FDIC-insured bank while also ensuring that funds are legally separated will add further confidence. In fact, Gemini Exchange has the thumb’s up from major institutional investors, including BlockTower Capital’s Ari Paul while Cboe Markets makes use of Gemini Exchange to serve clients interested in crypto markets. LMAX Exchange is a forex trading firm in London. 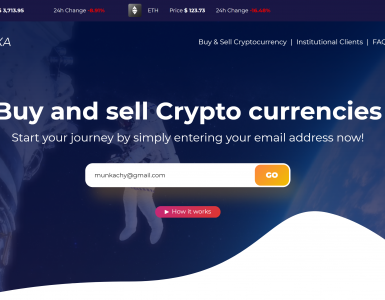 In May 2018 the firm launched a crypto trading platform designed for institutional investors. In doing so LMAX is limiting the coins it handles to only the most liquid and exchangeable, including Bitcoin, Bitcoin Cash, Litecoin, Ripple and of course Ethereum. The fact that LMAX Exchange focuses on these currencies stems from the problem we mentioned earlier: institutional investors need to be able to invest large sums and need to know that they can sell these investments when they need to. The LMAX platform offers a single public rulebook for all its members alongside what it claims is a trusted, secure trading environment built on existing LMAX technology. The exchange also provides a full custodian solution for members while promising quick execution, claiming 100% uptime for its exchange – which is in stark contrast to the somewhat flaky availability of many crypto exchanges. Again, the focus on security and custodial services speaks to institutional concerns around security and custody, concerns that institutions are right to have considering the high level of responsibility they have to their clients. Owner of the New York Stock Exchange (NYSE), the Intercontinental Exchange or ICE, revealed in August that they are working on a new startup called Bakkt. Not due to be released until November 2018, Bakkt will offer an institutional-grade exchange aimed at making it easier and more seamless for larger financial institutions to trade cryptocurrency. 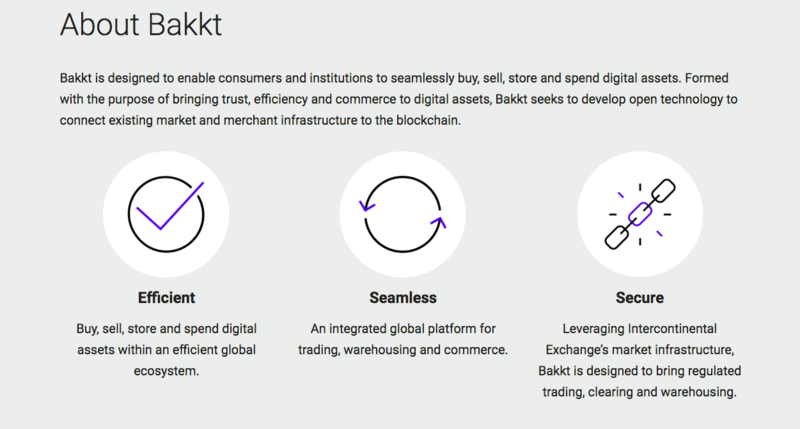 To reduce the concerns institutional investors have around the oversight and regulatory aspects of crypto exchanges Bakkt has applied for approval from the CFTC – the US Commodities and Futures Trading Commission. In another sign that Bakkt understands the trust issues that come up when trading cryptocurrencies, Bakkt promised that price discovery will be fully transparent while it will attempt to provide infrastructure that is also institutional-grade. There’s no question that institutional investors are starting to look into cryptocurrency more and more. In response, crypto exchanges are attempting to provide the stability, regulatory compliance, and execution abilities that institutional clients demand. But there are still many hurdles that prevent institutions from entering the crypto space on a large scale. In fact, while one of the world’s biggest investment banks had previously announced an entry into the crypto space, Goldman Sachs has recently announced a retreat because of concerns about the regulatory aspects of cryptocurrencies. But changes are on the way. As we explained earlier, institutional investors cannot deal in assets that are not under the magnifying glass of regulators. But regulators around the world have come to realize that cryptocurrencies are not going away. It will likely still take a number of years, but regulators are slowly coming around to setting up the frameworks that look after crypto assets. In one sign that regulators are moving forward, it is increasingly looking like regulators will approve an exchange-traded fund (ETF) for cryptocurrencies sometime soon. Several applications have been made, including that of ProShares which has $30bn in assets under its management. Gemini and Bitwise have also filed applications but whether any of these applications will succeed is a different matter. Yes, cryptocurrencies are a tiny part of the universe of financial assets, but the size of the crypto market has grown and this growth has put cryptocurrencies on the radar of institutional investors. Bitcoin alone is now as valuable as 1% of the entire gold market, which is comparatively small but is nonetheless a substantial amount of money. If the crypto market continues to grow, the demand by retail investors for safe crypto investment avenues will grow alongside. This can lead to institutional investors increasingly offering the facility to deal in crypto products. Customer demand means opportunity for profit, and no institutional investor will allow its competitors to grab market share if they can prevent it. Though small numbers of retail investors have climbed into crypto, sending the prices of Bitcoin to $20,000 in 2017, many people think that the involvement of institutional investors will change the crypto landscape. This line of thought has led to some interesting predictions, including Bitcoin prices of $50,000 or even $200,000 in the near future. However, the fact that Goldman Sachs has put its plans on hold has had an immediate impact on the price of crypto assets. Whether the crypto market can maintain high prices and reach those very high predictions is open for debate, but if an asset experiences an increase in demand prices can rise. Should crypto ETFs be approved, for example, crypto could see rises in value as ETFs open up crypto investments to a wider audience. The relationship between institutional investors and the cryptocurrency market is clearly very much in flux. That said, one conclusion you could draw is this: institutional involvement in cryptocurrency markets is a sign the crypto as an asset is starting to mature. Cryptocurrency becoming a mainstream investment product may be somewhat against the original intentions of crypto as an independent, unregulated currency. Yet a more “normalized” cryptocurrency scene with heavy institutional involvement can make cryptocurrencies a safer, more sensible investment for more people. Even if institutional involvement takes some of the thrill out of cryptocurrency investment the fact that almost anyone can launch an ICO means that there will likely continue to be a lot of investment thrills to be had for those who seek them, while those looking for a safe way to invest in crypto assets will have more of an opportunity to do so.